With the release of Prissy Princess video slot, Play’n Go is inviting you to play all types of tournaments. This means you will win the Princess attention and to collect big wins along the way. In fact, this game seems to be taken straight out of medieval time since the reels sit in between two castle towers. And the game symbols are all knights who are fighting to win the princess’ heart. All and all, Prissy Princess video slot is not only a beautiful game, but it’s also a slot with innovative features in a higher than average paytable, which means that many players would benefit from learning it, by reading the below review. Bonuses & features: Expanding Wilds, Multipliers, Pick n' click Bonus, Collapsing symbols, Re-Spins, and Extra Random wilds. Highest-paying symbol: 5 Princess symbols (wild) on an active payline reward you with 5000 coins. Perhaps the most innovative feature of this game is the Collapsing symbols feature. Indeed, the Collapsing symbols is a base game feature which will create a symbol explosion every time you win. In essence, this feature is similar to the avalanche feature or tumbling reels you may have come across in other games. But the primary difference is that a winning combination will make all reels explode as opposed to just the winning combination. And of course, you’ll get a Re-Spin as new symbols appear on the game interface. In essence, the tournament feature is a multi-level Pick n’ Click bonus. And you’ll trigger it after collecting 3 flag symbols in a series of consecutive win. So, as you spin the reels and make winning combination make sure to keep an eye for the pink, green and blue flag symbols which will help you trigger the feature and serenade the Prissy Princess. To sum up, in this game you’re invited to predict which opponent will win the Princess’s attention. If you predict correctly, you’ll move on to the second, third and final stage and collect cash prizes along the way. A great thing about Prissy Princess video slot is that the paytable of this game is higher than average. 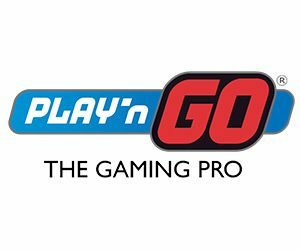 Plus, Play’n GO managed to deliver a casino slot game which has a good level of action in the base game. In fact, this slot has several random features in the main game which will also help you win big. Like expanding wilds, and extra wilds. All and all, this video slot will appeal to all levels of players with its medium volatility and good RTP. Also, it’s worth knowing that even if this game is 2 years old, its available on all devices. So you can play it on a desktop, mobile and even tablet. Try Prissy Princess at any casinos listed on this site and have fun! Good luck!